A felony DUI charge, as related to the serious harm or death of another can cause lasting damage for all parties and families involved. 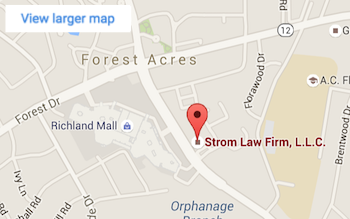 Strom Law Firm, L.L.C. South Carolina Felony DUI Attorneys are committed to managing the legal burdens of a DUI felony case, so that clients and their families can focus on coping with the tragedy itself. When Can You Be Charged with Felony DUI? You can be charged with felony DUI in South Carolina if you were in an accident (which led to the DUI arrest) that resulted in great bodily injury or death. The penalties for a felony DUI conviction can include a mandatory minimum of one year in prison when death occurs and a mandatory 30 days when great bodily injury occurs. 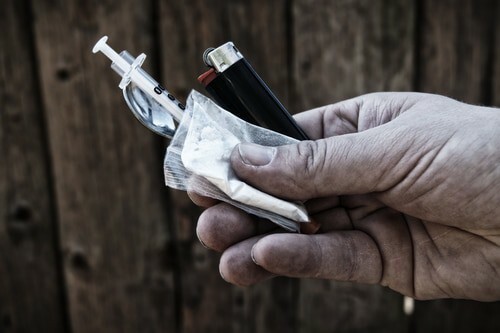 If you have been charged with felony DUI, is critical that you hire an experienced DUI attorney to protect your rights. The Strom Law Firm DUI defense team is committed to protecting your rights following a felony DUI arrest. Our SC Felony DUI Defense Team will analyze every shred of evidence to ensure that your rights are protected. We will represent you from your bond hearing through the trial of your case. Great bodily injury is defined by the state of South Carolina as bodily injury, which creates a substantial risk of death or which causes serious or permanent disfigurement or protracted loss or impairment of the function of any bodily member or organ. Upon conviction of a felony DUI by jury, the accused faces a minimum mandatory prison sentence and fine. A felony DUI conviction for causing great bodily injury can include a mandatory minimum 30 days in prison to a maximum of 15 years imprisonment, plus a mandatory fine of at least $5,000, not to exceed $10,100. Also, the DMV must suspend the convicted person’s driver’s license for the term of imprisonment plus three years. A DUI conviction that includes a felony conviction for causing the death of another includes a mandatory minimum sentence of at least 1 year in prison with a maximum 25 years imprisonment, and a minimum mandatory fine of not less than $10,100 nor more than $25,100. Additionally, your driver’s license will be suspended for the term of imprisonment plus five years. Felony sentences must be served in federal or state prison, not local jail. Conviction under the statute of a DUI felony does not repeal involuntary manslaughter or reckless homicide statutes, if so charged. Are you or a loved one facing a felony charge resulting from a drunk driving accident that caused serious injury or loss of life to another? The South Carolina Felony DUI Lawyers and the Criminal defense Attorneys at the Strom Law Firm, L.L.C. provide a no-fee consultation to discuss the facts of your DUI case.